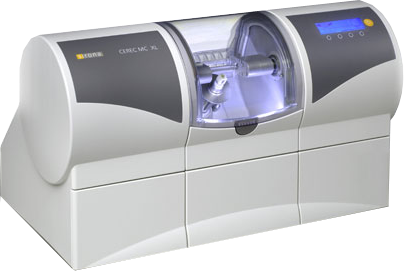 Designed to assist each patient in achieving and maintaining a beautiful smile. Dr. Heather Rorison and her staff makes sure that you are comfortable for all of your treatments. 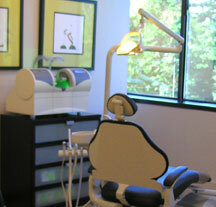 Heather Rorison Dentistry is location conveniently to Uptown Charlotte, Cotswold and the SouthPark areas. Our brand new modern office that has the latest technology and tools. Everything to make your visit great! Heather Rorison Dentistry uses the latest technology and tools of the trade to make your smile incredible. If you're looking for a Cosmetic & Family Dentist in Charlotte and are wanting a friendly, modern atmosphere, then contact us to schedule your next appointment. If you remember what it was like to visit the dentist’s office when you were young, you may recall feeling worried and frightened. Of course, maybe you still feel that way today. But today’s dental technology means an end to all of your worries! Get ready for a happy smile after just one visit to Dr. Heather D. Rorison’s office—the most client-focused dental office in Charlotte, NC. We want to change your dental experience for the better. One way we do this is by helping your entire family feel at home while we take care of your teeth. Experience Personalized Service, No Matter Your Age. Heather D. Rorison Cosmetic & Family Dentistry is the leading provider of same day crowns in Charlotte and other high quality dental services. We are a family dentistry office, serving patients of all ages—including children as young as three years old! When you call our office to make an appointment, we can schedule the whole family, and each member will receive personalized care. We’re dedicated to providing the best family and laser dentistry in Charlotte, so call us today! Our office offers a wide variety of services, including preventative care like gum disease evaluation, oral cancer screening, and sealants. Our cosmetic services include bonding, veneers, and whitening. For comprehensive restorative services, we provide crowns and bridges, inlays and onlays, partial and complete dentures, composite fillings and more. Call us to learn more about what procedures we can provide! When you visit the office of Heather Rorison DDS, you will experience all that modern dentistry has to offer, as we use the most up-to-date technology and equipment. We have a great location in uptown Charlotte for same day crowns, laser dentistry, and other procedures. Our goal is to assist each patient in achieving and maintaining long-term dental health—and a beautiful smile—with our comprehensive list of preventative, restorative, and advanced cosmetic dental services. We hope to build long-term relationships with patients and their families by giving them the friendly, expert care they deserve. From routine check ups to cosmetic surgery, you can always depend on us! Heather D. Rorison Cosmetic & Family Dentistry knows people are at their best when they feel comfortable and safe. This is why we have tailored our facilities to your needs. Get ready for the most family-friendly dentist in Charlotte, NC—and if you’re a new patient, we’ll double our efforts to make you feel glad you chose us! Simply fill in this helpful form and come on in. The atmosphere in our office is comfortable and relaxed. Our staff is an experienced team of professionals who are dedicated to making your visits informative and enjoyable. We believe you will find that we genuinely care about you and providing you with the highest quality dental care possible. Call our office today to set your first or next appointment!